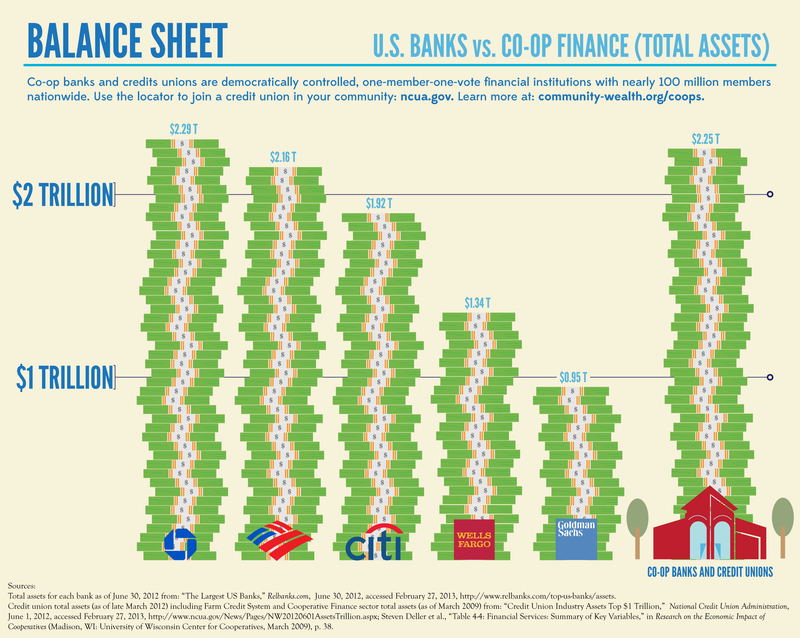 Nationwide, there are more than 7,100 credit unions with more than 92 million members. Like all cooperatives, credit unions are democratically controlled by their members, giving each member a vote and equal say in how the institution is managed. Many credit unions also have a community development mission. They have helped provide credit, technical assistance, and other financing services, historically, to low-income individuals and communities. Now, there are currently three bills before the House of Representatives that affect how credit unions are able to serve their members. This past Friday, February 22, the National Cooperative Business Association ­— dedicated to ensuring that cooperative businesses, such as credit unions, have the same opportunities as other businesses — came out in support of all three. These bills grew out of the advocacy work of the Credit Union National Association and the National Association of Federal Credit Unions. This latest legislative activity represents a move by credit union activists to remove barriers to operating a credit union, raise awareness of the benefits of credit unions, and improve the performance of credit unions in their communities. The three proposed bills will help facilitate this by reducing regulation to make it simpler to operate a credit union with the goal of stimulating economic growth. As our economy falters, there is growing awareness that putting “people over profit” and community involvement at the forefront makes the best economic sense. These bills may help credit unions do just that. The Credit Union Small Business Jobs Creation Act would allow well-capitalized credit unions operating near the business lending cap to increase their business loan offerings to 27.5 percent of total assets, if they receive approval by the National Credit Union Administration. The current cap of 12.25 percent of total assets was imposed by Congress in 1998. Credit unions could lend an additional $13 billion to small businesses, helping them create over 140,000 new jobs in the first year after enactment. This legislation would modify the definition of credit union net worth to include supplemental forms of capital for credit unions and allow the regulator to develop risk-based capital standards for the purposes of prompt corrective action. The Eliminate Privacy Notice Confusion Act would require a privacy notification be sent to a member or customer only when the policy changes, rather than every year — even when nothing may have changed ­— which is currently required by law. This Act is a common sense regulatory relief measure that would make privacy notifications more meaningful for consumers and reduce the amount of diverted time and resources that a credit union’s staff could be using for more important services to its members.